We’d be happy to answer any question you have about your particular plumbing needs. Feel free to call us at (732) 254-1655 or by using the form below. We’ll respond to you as soon as we can. 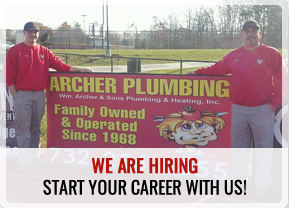 Archer Plumbing is proud of our 5 Star Yelp Rating and our “A” rating on Angie’s List after over 45 Reviews.